Get in tune with the cold weather in the company of a British alpinist who climbs the snow-clad peaks of the New East. 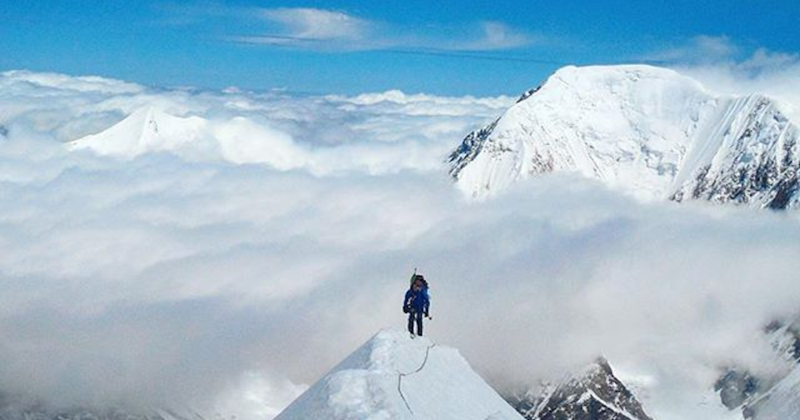 Will Kernick is a 23 year old mountaineer who climbs (and Instagrams) the mountains of Kazakhstan, Kyrgyzstan and Tajikistan. Most photos are captioned like a alpinist’s diary and scattered with interesting facts about the area and its history. And, while there are occasional posts from classic locations like Mont Blanc and Ben Nevis, the majority are from lesser known summits like Peak Lenin, Peak Pobeda (or Peak Victory) and Peak Communism. Follow just in time for the cold season — either for inspiration to go out into the cold, or to feel cozier while swiping and tapping from under the blanket.